You live in a world defined by relationships. Whether you are good at them or not doesn’t change the fact that relationships are all around you. This is how God designed it. God is relational, and He has engineered you to live in relationship. God’s gift of grace is much more than only a means of rescue from sin. 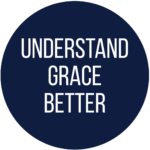 Grace is such a force in the life of a disciple that it ought to inform all of his or her relationships. Grace unleashes a powerful flow of love, mercy, forgiveness, and redemption wherever it is allowed to work. Along with the Spirit of God living in you and God’s Word to guide you, God has abundantly provided His powerful grace to affect your relationships. You can experience the freedom of God’s forgiveness and re-gift that forgiveness to others who have hurt you. 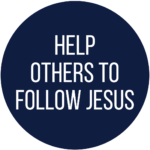 You can give to, love, and serve others from the freedom that grace provides. All of this is possible because God has fully met your needs. His love is the answer. This love is perfectly pictured in the sacrifice of His Son Jesus which provides for you an infinite supply of grace. How would you rate the overall health of your relationships (from A+ to D)? Why? What is the most difficult relationship in which you are currently? Why is it challenging? Read 1 Corinthians 13:1-13. Usually reserved for wedding ceremonies, what is the most challenging relational truth in this chapter for you? Why? Where do you see grace in the human relationships of Jesus’ ministry years? How do you forgive others? Who do you need to forgive? Would people describe you as relationally generous? Why or why not? How would your church family benefit from more grace given in relationships? Try to identify as many ways as possible. 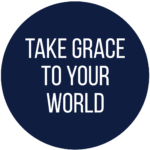 Grace Study – Grace is the greatest gift ever offered. This short book covers five facets of grace that have the potential to transform your life.